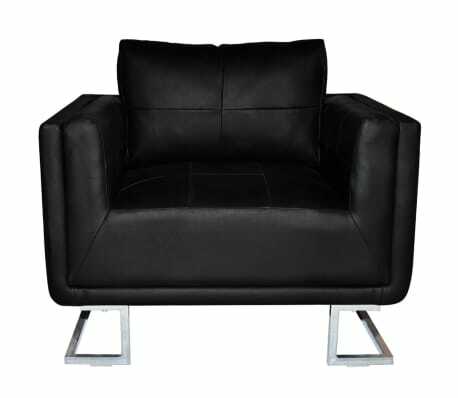 Seat height from the ground: 1' 4"
This modern design of this gorgeous armchair adds a touch of timeless elegance to your living space. 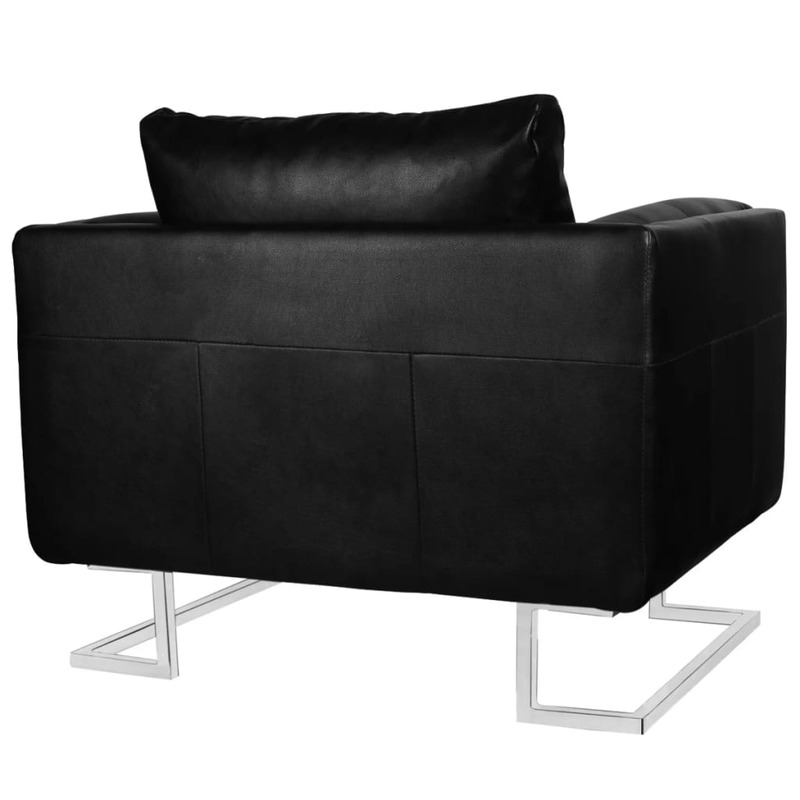 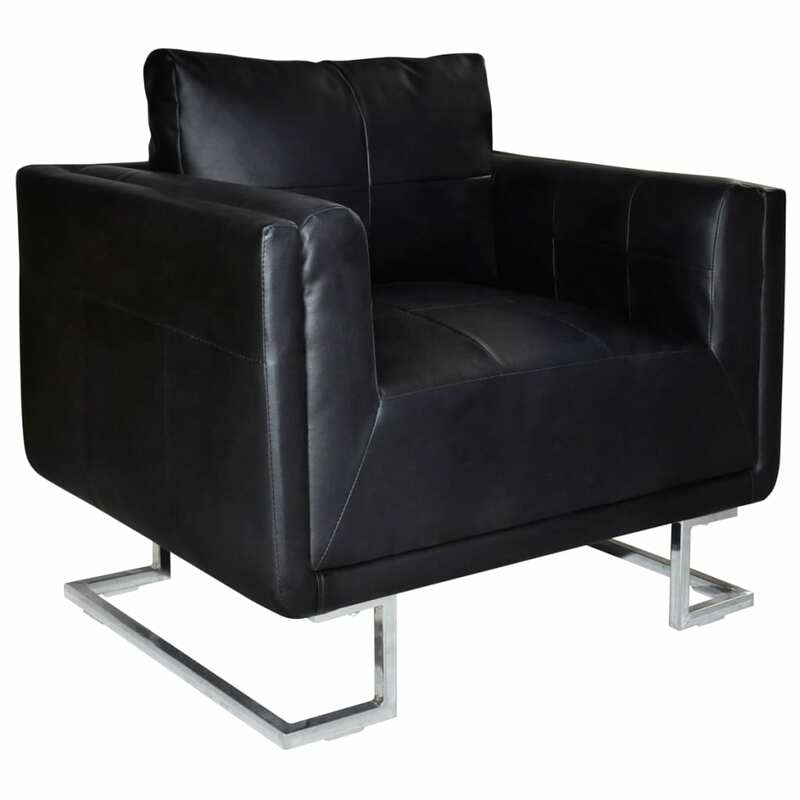 With a durable wooden frame and leather upholstery (19% real leather), this cube armchair is sturdy yet comfortable and designed for years of use. 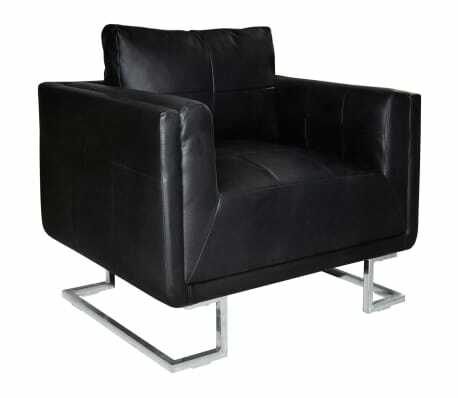 This high quality armchair has a supple feel and is supported by solid chrome feet which bring extra stability. 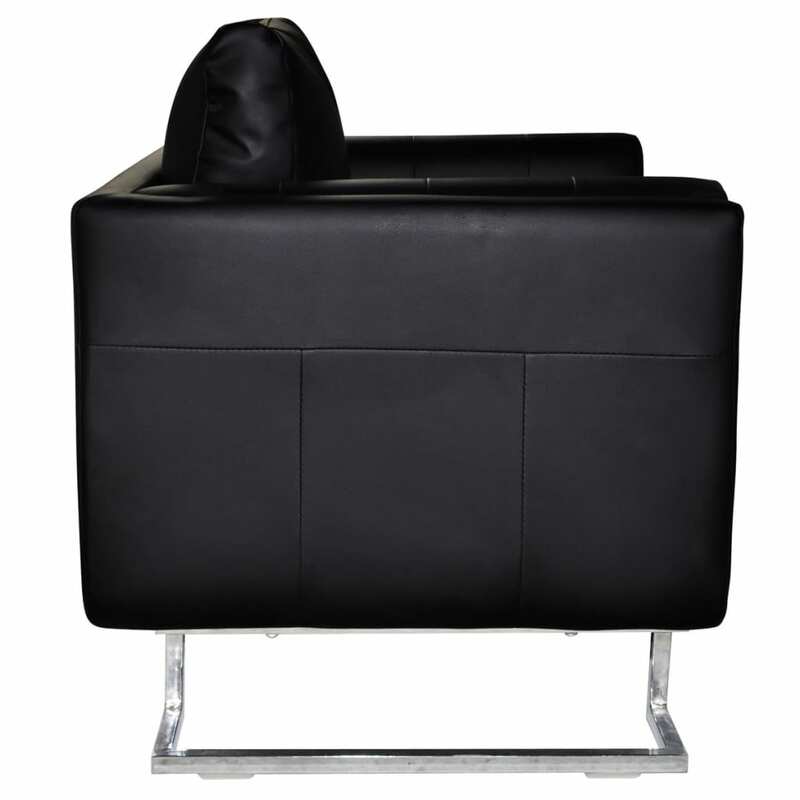 The comfortable armrests, high tensile pillow and ergonomic design make this chair extremely comfortable. 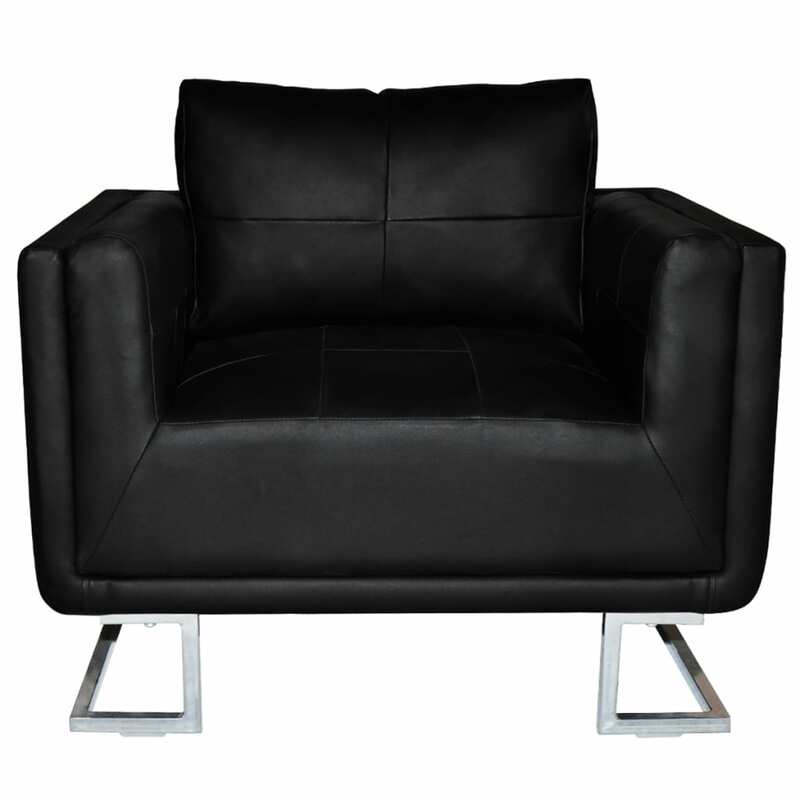 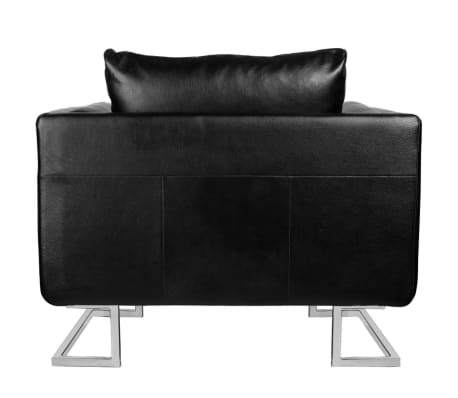 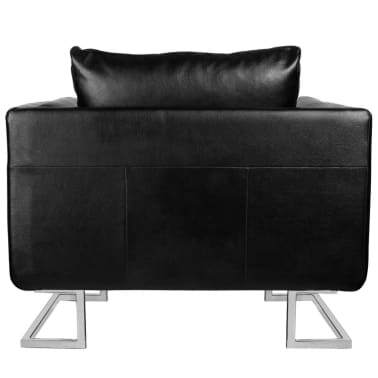 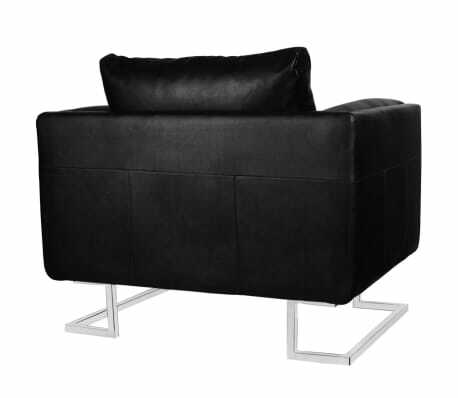 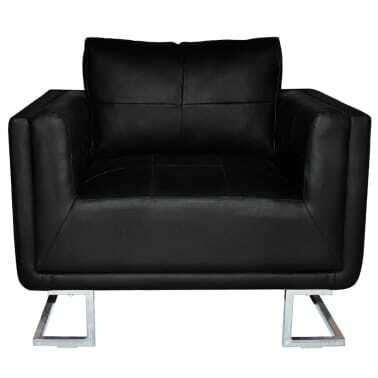 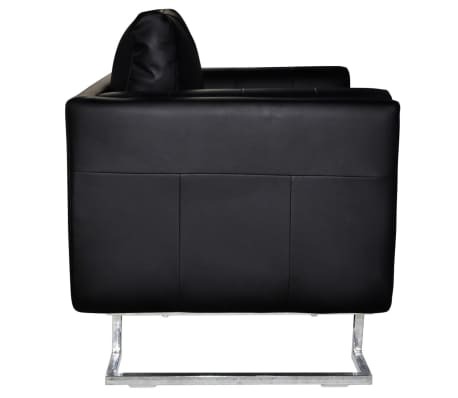 This stylish leather armchair will bring a touch of elegance to your living space.